Syrian peace negotiations – what might they achieve? It should be recognised first of all that few of the warring Syrian factions would have agreed to peace talks without considerable external pressure, particularly from those who have provided them with arms, armies and military subsidies. The terrorist atrocities of Daesh on the Russian passenger plane over the Sinai desert had the effect of aligning Assad’s primary big power backer (Russia) alongside his primary big power opponents (US, France and the UK) – both needed to be seen to be taking action against Daesh (ISIS). But Daesh is just one of many concerns for Syrian people and not the primary one. The majority will have fled or suffer under the Assad’s government heavy artillery and aerial bombardments. Others will have fled from violently hostile Islamist militias dominating their areas. There will be inevitable hopes that these problems will be addressed by any peace conference. But such hopes are likely to be disappointed. Assad may be weaker than he was a year ago. His Syrian Arab Army continues to collapse, he has become increasingly dependent on Iranian ground forces and Russian air power. But he knows that the opposition are fractured and unable to unite effectively against him. So neither of these 2 sides can pretend to be in a position to either force or need to make concessions in these talks. Indeed in the last week of 2015, the very time that the delegations to the peace conference were being selected, the government forces had a prominent militia leader assassinated – hardly the action of a government not wanting to put the peace process at risk. The assassinated Zahran Alloush was head of the Saudi-backed Jaish al-Islam (Army of Islam), a Damascus-based Islamist militia renowned for its ritualised killings of Daesh soldiers as well as its caging and public display of Allawites/ Shi’ite civilians in areas at risk of bombing. The peace negotiations are therefore overwhelmingly driven by the external interests and not by any internal force in Syria. There are, of course, many competing imperialist interests in the peace negotiations – with even the UK now also wanting a stake. These powers may have a joint limited interest in beating back and demolishing Daesh’s “Islamic State” but they have nothing like a joint coherent vision of what they want to replace it. The idea is laughable that fair elections could be held in Syria whilst so much of the country is controlled by the regime or undemocratic Islamist militias. As in any country so devastated by sectarian violence over such a long time, fear is easily manipulated by communalist politicians like Assad as well as many of his opponents, particularly the Islamist ones. Their armed forces, their instruments of indoctrination, intimidation and oppression remain in existence. Fair elections presume the rights of free speech and political action. But anyone speaking out against whoever runs the territories they live in would be seriously worried about being killed. Assad’s military forces as well as the sectarian militias would first need to be demobilised, the perpetrators of war crimes arrested, civil society rebuilt and democratic discussion protected. An election without such action would do nothing other than exaggerate the communalist breakdown of the country rather than counter it. However none of the primary sponsors of the Syrian conflict who have forced Assad and the ‘opposition’ into this conference – that is US, Saudi Arabia, Turkey, Iran, or Russia – have the slightest interest in promoting a genuine democracy in Syria. Each of these powers want to deal with Daesh and little more. Even their reasons to have Daesh eliminated is different for each of the regional and international super-powers. Saudi Arabia looks on Daesh as a troublesome competitor for the allegiance of Sunni Wahhabists and Islamists throughout the world. Indeed Daesh – in actually building a quasi-state power with many similarities with Saudi Arabia – has created huge embarrassment for the Saudi tyrants and their allies. Western governments and most of their media have maintained a meticulous silence on Saudi human rights abuses for decades. Over the last year that has been impossible to maintain. In Turkey Erdogan – who is modelling his state on a different model of authoritarian Islamism – has had a useful modus vivendi with Daesh. It is probably the least interested in eliminating Daesh. It allowed and encouraged Daesh’s war on the Rojavan Kurds. In return Daesh did little that might destabilise Erdogan’s rule but became a more audacious ally with his terror campaign against the Kurds. Erdogan started his political life in the Islamist Welfare Party. The AKP made attempts to become the international centre for the Muslim Brotherhood (Ikhwan) after its loss of power in Egypt. 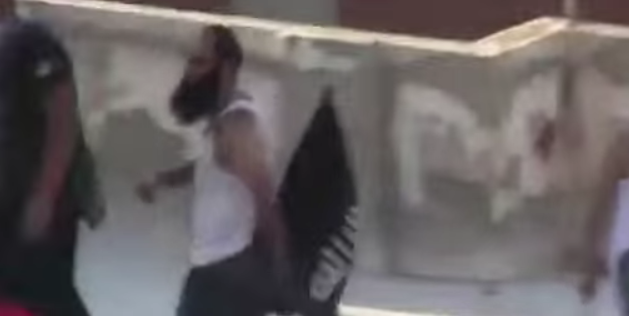 The relationship between the Ikhwan, Saudi Arabia, Al Qaeda and Daesh is complicated. But anti-Shia sectarianism is more the hallmark of the Wahhabism of Saudi Arabia and its Jihadist offspring rather than the Ikhwan. 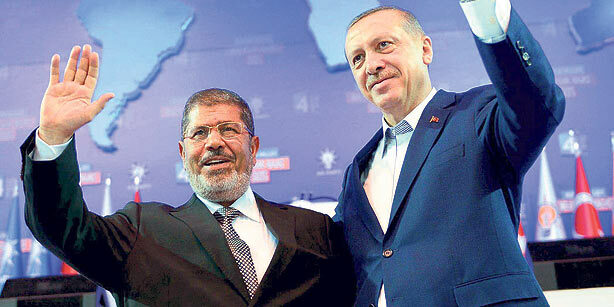 Erdogan was a close ally of the former Muslim Brotherhood President Morsi of Egypt. Both Morsi’s removal from power and his arrest by the military dictators in Egypt were strongly supported by Saudi Arabia. Erdogan often used Islamist solidarity with the former President Morsi, now threatened with execution, as a key election issue at his rallies. However he has never criticised Saudi’s support for that proposed execution. Al Qaeda and Daesh built their organisation using anti-Shia atrocities, particularly in Iraq. They have also carried out such sectarian atrocities elsewhere in Sunni-majority areas such as Saudi Arabia in an attempt to destabilise it. But Daesh have not targeted Turkey’s 25% Shia community – the Alevites. Undoubtedly there will be not only strong business links between Daesh and Erdogan’s AKP but also political sympathies with Al Qaeda and Daesh around the AKP, just as they were in the Egyptian Muslim Brotherhood. Any agreed audacious international action against Daesh would create considerable problems for Erdogan. Like the Saudis, but for different reasons, he will want to allow Daesh supporters to not be eliminated but reorganised under the leadership of the safer Wahhabism of the Saudi regime. Russia was not been targeted by Al Qaeda or Daesh in recent years unlike the West – the attack on one of their passenger planes above Sinai changed that. Also the predictions that 30% of their population being Muslim is known to concern Putin. He has concerns that his generalised repression could trigger repetitions of wars like that in Chechnya especially if Jihadists within greater Russia see a successful Islamic State only a few hundred miles away. But support for Assad has been significant for Russia – they will never support any measure that may remove him or the regime that they and Iran have worked so hard to keep in power. The US are unwilling to repeat an Iraq-style occupation in Syria. They have instead invested considerably in trying to get militias that will be loyal to them off the ground in Syria. Such actions have been spectacular failures with the militias they have financed being gobbled up by Islamist militias. 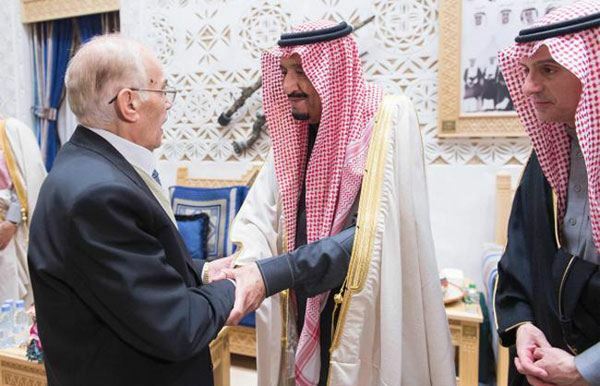 At present they and the rest of the western governments involved have contracted out that task to the Saudi regime – allowing the Saudis to become not only the paymasters for most of the militias but also to shape them politically. This could become a major cause of embarrassment to them. On top of all these political concerns, there are economic ones. Syria is not only a source for hydrocarbon fuels, it is also a potential route for gas and oil pipelines. Some have argued that Qatar’s involvement in Syria was a result of Assad’s blocking of a pipeline being built from Qatar through Syria to Turkey. Turkey is trying to reduce its dependence on Russian natural gas. Assad, Russia’s ally felt bound to oppose that. The potential territorial contiguity of currently Shia-dominated regimes of Syria-Iraq-Iran gets in the way of Sunni co-operation between the Gulf states and Turkey. Now with Iran coming out of the cold of US sanctions, Iran itself may want to position itself as Turkey’s, and beyond them Europe’s main supplier. So these external powers may want peace in Syria – or at least stability for business – but only after their vested interests are assured. But there again war is useful for profits in the arms industry. The US arms industry currently sell Saudi and their close ally UAE $8 billion per year in equipment alone. Britain and France arms suppliers are not far behind. In the past much of Saudi’s military expenditure, which is currently the fourth highest in the world, were vanity projects. Now Saudi Arabia has wars like that in Yemen to invest in as well as a serious loss of oil revenues. If it feels its arms can’t be used they may reduce their purchases. There will be strong business pressures to allow Saudi Arabia to continue to invest, probably more openly, in arming forces in Syria. Possibly through a role in occupation. Could the murderous forces mobilised on both sides be curbed? 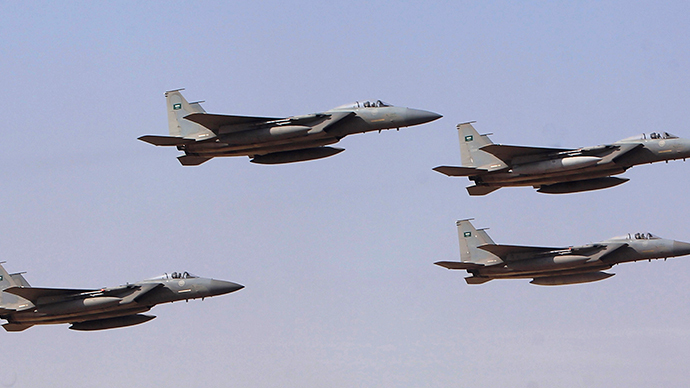 The arms supplied by Saudi, Qatar, UAE and Turkey has been immense. In 2014 $92.7 million of arms were bought and supplied to Syrian militias by Saudi Arabia – and that is just from Bulgaria! Without such arm supplies and subsidies from them to the militias and armies in Syria they could not continue their war. Further up the supply chain are of course the US, France and the UK. On the other side Assad’s Syrian Arab Army has nearly collapsed. Without the elite Iranian Quds force – now being backed up by the more regular Iranian Revolutionary Guards – without Iran’s Lebanese ally Hezbollah, without Russian military assistance, Assad’s war on his people would collapse – even with his use of mass murdering barrel bombs. So yes, if there was a will from foreign powers, they could pressurise internal Syrian forces to negotiate peace. But is there the will for peace from the big powers? And more importantly what sort of ‘peace’ do they want? None of the parties who are likely to gather round the negotiating table in New York on January 25th have much concern either for social justice or for a genuine pluralistic, non-sectarian multi-ethnic Syria where democratic rights are protected. All the them have disgraceful records in working with religiously sectarian forces and supporting brutal authoritarian governments in the area. If a peace deal is likely out of these negotiations – it is likely to be one that leaves the Assad regime in existence even though personally Bashar Al-Assad may be shunted off to some Russian dacha. It will not be one that will put genuine democrats in charge of Syria. Saudi Arabia’s lead role in the coordination of the Syrian ‘moderate opposition’ is one guarantor of that. Iran and Russia are also guarantors – on the other side. If any ‘peace deal’ is negotiated, it will probably be through a partition of Syria – initially by freezing many of the present military front-lines between the competing forces. Such a partition won’t be easy to negotiate – it certainly won’t be in the interests of the Syrian people. This entry was posted in Saudi Arabia, Syria, war on December 31, 2015 by Pete Radcliff. The Syrian ‘opposition’ – how long can the Saudi deception continue? The premise on which the British Parliament agreed to join bombings in Syria was that there would be little risk of a military escalation. Clearly bombings can drive the army and the administration of the ‘Islamic State’ into bunkers or into temporary physical dispersion. But a physical territory can only be captured if taken over by military forces on the ground. Cameron and others supporting the war made out that such a force was in existence. Rarely has it been possible to get a snapshot of the Syrian military forces supported by US, UK and France. Cameron played with illusions and words in the British parliament but illusions are insufficient for the US. They need to strengthen their bargaining power in the continuation of the earlier Vienna talks on Syria that may resume in New York next week. This entry was posted in Kurdistan, Saudi Arabia, Syria, war on December 12, 2015 by Pete Radcliff. The decision of the UK parliament to authorise bombings is undoubtedly a blow. I imagine we all fear seeing videos in future like those that Chelsea Manning released to the world and for which she paid such a terrible price – a video of an exercise in smart warfare where a minibus of innocent men and children are machine gunned down and murdered. And things happen like that when ‘intelligence’ is not delivered by people on the ground and in Raqqa and elsewhere there is little reliable intelligence on the ground. It is unlikely that there will be military successes in defeating Daesh and liberating areas for ‘democracy’ – because there will be few democrats on the ground other than YPG who, as many MPs drew attention to last night, are being bombed by Turkey and denied heavy weaponry by the Western powers. But the YPG do not have the capabilities alone of liberating Syria for democracy. This entry was posted in Kurdistan, Syria, war on December 3, 2015 by Pete Radcliff.